Attention! This is perfect change to start your career not with entry position as usual but with already higher position! 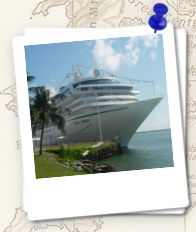 maintains an assigned section 20-23 guest staterooms and corridors in a clean and orderly manner. The role of Junior Guest Relations Officer centers around effective and consistent communication made available for all guests in order to ensure total guest satisfaction. Minimum one year experience in a customer contact position within the food, beverage, hotel, cruise ship or related industry. Ability to operate a telephone switchboard console and deal with high call volume effectively. Superior customer service and conflict resolution skills. Very strong communication, problem solving, decision making, and interpersonal skills. Ability to effectively speak and write English. Ability to operate basic office equipment, including telephones, computers and copy machines. Minimum of one (1) year hospitality management experience in an upscale hotel, resort or cruise line (shipboard experience preferred). Bachelor’s degree in hospitality management, business administration or related field from an accredited college or university or the international equivalent preferred. Very strong management skills in a multicultural and dynamic environment. Superior customer service, team building and conflict resolution skills. Knowledge of the principles and processes for providing personalized services including needs assessment techniques, quality service standards, alternative delivery systems, and guest satisfaction evaluation techniques. Advanced computer software skills required, including Microsoft Excel. Possess a good understanding of numbering flow “Debits/Credits”, adjusting entries and corrections. Possess an understanding of all documentation and Immigration and Customs procedures for embarking/disembarking guests. Minimum of two (2) years front-of-house service experience in a luxury environment. Exceptional customer service, interpersonal, conflict resolution and oral communication skills. Ability to communicate tactfully with guests and shipboard employees, including senior management, in order to resolve problems and negotiate resolutions. Confident, well-groomed appearance with a warm and welcoming demeanor. Working knowledge of food / beverages and the ability to confidently speak on and properly serve such items. Knowledge of the principles and processes for providing personalized services, including needs assessment techniques, quality service standards, alternative delivery systems, and guest satisfaction evaluation techniques. Capacity to work positively and cooperatively in a diverse team environment to meet overall established timeframes for the entire suite operation. Ability to communicate tactfully with department heads, coworkers and other shipboard crewmembers to resolve problems and negotiate resolutions. Knowledge of computers, the internet and the ability to navigate within a variety of software packages, such as Excel, Word and related programs. Security experience mandatory - Army/Maritime/Aviation/Police or Hotel Security environment. The Security Guard should have experience in physical security with special emphasis on access control, security screening methods, security screening equipment operation and training ability (x-ray, metal detector, explosives/narcotics detection).